Most people are basic YouTube users. They log in from time to time to watch funny videos and tutorials. But they don’t think much about how they connect to YouTube. They just type the URL into the search bar, access the site, and watch their videos. That’s fine most of the time, but sometimes, you need a proxy for YouTube. Proxies are necessary when you have to protect your identity or mask your location. Not sure if you need YouTube proxies? Check out some common reasons you need to use proxies. Then, you can pick up some proxies and use them to access the popular video site. Most of the time, you don’t care if people can identify who you are. Sometimes, though, you want an extra layer of protection. You want to browse the web without anyone knowing who are you, and a proxy can help. When you connect to YouTube the regular way, the site receives information about your location and identity. It gets this information through your IP address. Your IP address comes directly from your internet service provider, and it has all of the identifying information that YouTube and other websites need. YouTube proxies are middlemen. They give YouTube a different IP address that is not associated with you. Proxies mask your location and identity, so you can surf YouTube in complete anonymity. There are lots of reason you might want to do this. The most basic of those reasons is you want privacy. You don’t think the world needs to know what you do online, so you go with a proxy to hide your identity. Then, you can search YouTube freely without worrying about someone creating a record of your internet usage. You are an amazing employee. You do your best to work hard, but sometimes, the day seems a little too long and you need a break. So, you decide to call it a day and start surfing the web. You’ll start at YouTube. You type the URL into the search bar and you get the dreaded message. YouTube is blocked. You cannot access the site while at work. You’re annoyed, to say the least. Your work is done, and you should be able to spend a few minutes watching cute cat videos. In fact, you are pretty sure you’d be more productive if you could add a bit of cuteness to your day. Is that too much to ask? You can get around this problem with YouTube proxies. Since the proxies mask your location, the site ban won’t work. You will get a new IP address, and it will be able to get through the block without any issues. Then, you can watch cat videos as long as you want. Here’s a word of warning, though. Don’t go with a free proxy when you’re at work. You should never use a free proxy, but it’s even more dangerous when at work since these proxies occasionally contain viruses. Do you really want to explain to your boss how you infected the entire network? You will probably lose your job if that happens. Spend a few bucks on a dedicated proxy so you don’t have to worry about it coming back to haunt you. It will be money well spent. You love traveling, but it can come with its drawbacks, especially when it comes to internet use. Some countries ban YouTube. You can’t get onto the site as long as you try to log in the normal way. However, you can get around that pesky ban if you use a proxy. The key is to pick a proxy that comes from a location that allows YouTube. For instance, if you go with a proxy that originates in the United States, YouTube will think that you’re located in the U.S. It will let you log onto the site without any issues. If you’re doing any traveling, check to see if you YouTube is banned in the country. If it is, go ahead and get a proxy for YouTube before you go. That will prevent you from being disappointed when you arrive. Then, you can have a fun time in the hotel watching videos. If you intend to scrape YouTube, a proxy is a must. There are tons of reasons to scrape YouTube. Competitive research is one of the main reasons people scrape YouTube. For instance, you can scrape channels for keywords to find out what is getting the most hits. Then, you can zero in on those keywords and use them for your videos. That will help you get out in front of more people. You can also scrape videos to find out what people have to say in the comments. This will give you some insight into what people want. People also scrape YouTube to gather analytics. That allows them to find out what videos are hot. These are just a few ways you can use a scraper for competitive research. Get as much information as you need and then analyze it. Then, you can use that information to help your own channel perform better. You can also search for creative commons videos with your scraper. Creative commons videos do not have any copyright restrictions, so you can use them on your own channel, even if someone else is using the same video. This is a quick and easy way to get more traffic quickly. Now that you know why you need to use a scraper, you might wonder why you need to use a proxy with it. YouTube cracks down on bot activity. If it realizes you’re using a scraper, it will shut you down by blocking your IP address. If you’re using your own IP address, that means you will be blocked from YouTube. Can you imagine a life without YouTube? You would have to get your own cats instead of watching cute cat videos. Now, if you use a proxy, you will have a different IP address so even if you do get banned, your real IP address won’t get banned. Of course, you don’t want to get banned at all, and proxies can help. You can rotate your proxies, so the scraper’s requests come from different IP addresses. That will confuse YouTube and prevent you from getting banned. Just make sure you choose a legitimate scraper, so you get the information you need without getting banned. ScrapeBox added a YouTube downloader to its suite of tools. It comes free with ScrapeBox, and it has a ton of filter options. It also supports proxies, so consider using it or something similar. OK, you have your proxies. Now what? You want to make sure you don’t get banned when you’re using your proxies. While some proxy companies will let you switch out your proxies if you get banned, you still don’t want a ban to happen. It takes time to switch out your proxies, so you would much rather fly under the radar without any problems. That’s pretty easy to do if you follow some tips. You might want to hit the ground running when you scrape YouTube, but it is important to scrape carefully. That means you need to slow down and take it easy. If you make a ton of parallel requests, YouTube will realize you’re using a bot. That’s the case even if you rotate your proxies. You will likely only rotate your proxies every several minutes, so if you make tons of parallel requests within a few minutes, the site will know something is up. Make your scraper act like a human so you don’t get caught. Spamming is a good way to get banned on YouTube, even if you’re using proxies. That means you shouldn’t stuff keywords into the descriptions, and you also shouldn’t upload duplicate content across multiple channels. You want to look authentic and original, so avoid these issues. This should go without saying, but if you’re in a country that doesn’t allow YouTube, don’t tell the world that you’re using a proxy to get around the block. Some countries take their bans seriously, so you don’t want to stand out. 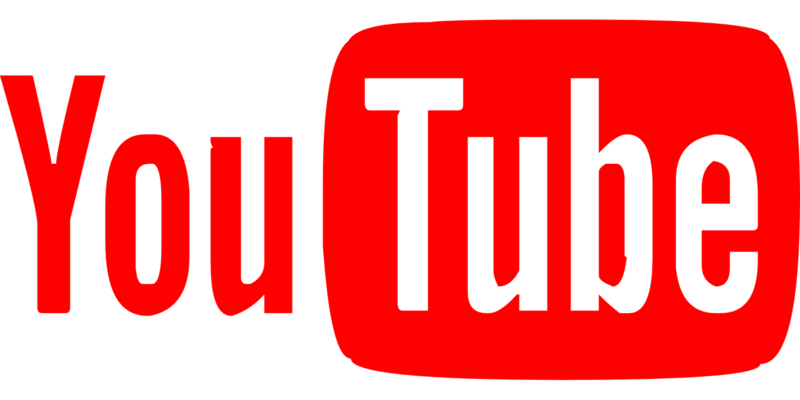 Finally, let’s look at some tips for picking YouTube proxies. These tips will help you get the most out of your proxy service. Everyone likes a deal, but free proxies are a mistake. As you already know, they sometimes come with viruses. Even if they are legitimate, they are really slow. That creates serious buffering problems when watching YouTube videos. Your videos will stop in the middle, and some might not load at all. Go with a dedicated proxy so you can get the speed you need. The videos will load quickly so you won’t have any issues. The country of origin is very important when choosing proxies. Some countries are considered high risk. These countries tend to have a lot of spammers, so YouTube pays more attention to connections that come from those countries. You can avoid this problem by going with a proxy company that has servers located in the United States. One day, you might want to use your proxy to manage your various social media accounts, and the next day, you might want to use it with a scraper. Choose a proxy company that works with various tools. Some companies aren’t compatible with tools, so you will waste your money if you go with one of those. However, other companies have proxies that are compatible with all tools, so you won’t have anything to worry about when using the proxies. Now that you know why you need proxies, it’s time to take the next step and purchase them. Choose wisely so your proxies will allow you to use YouTube the way you want to use it. Whether you want to scrape it for information or do some browsing at work, your proxies will help you get the job done.